Built by a team of scientists, BenchSci was developed with one thing in mind: to help you quickly and easily identify published data that support the use of antibodies. But did you know you can do much more than that? 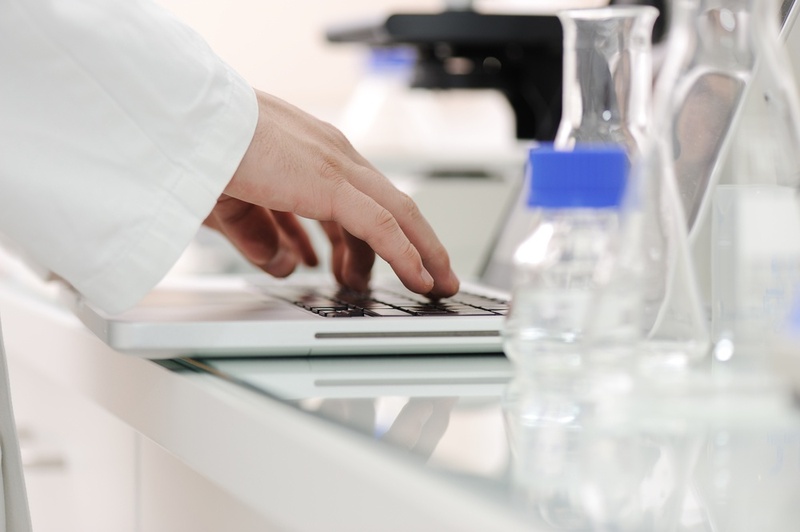 Want to evaluate the quality of a specific antibody based on published data? Easy. 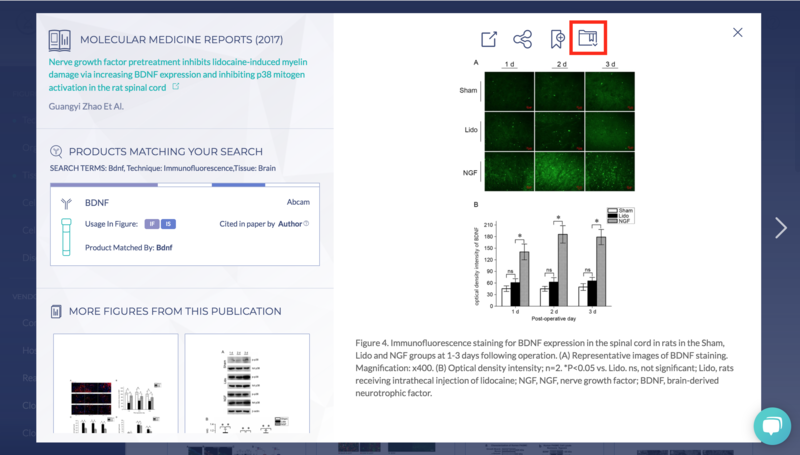 If you performed an experiment using a particular antibody, you can quickly compare your results with those that have been published for the same antibody. For example, you can answer questions like, "Is my staining localized in the right cellular compartment?" and "Does my band have the right molecular weight?" 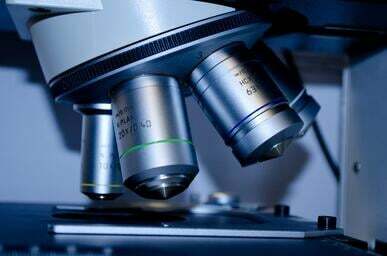 There are, on average, hundreds of figures and antibodies associated with a single gene or protein. How can you narrow down your search? Filters. BenchSci’s filters can help you instantly narrow down search results to published data and antibodies that are most relevant to your study. For example, you might be interested in only finding antibodies for BDNF that have been used in a immunofluorescence experiment using rat brain tissue. Using the filters on the sidebar, you can specify the experimental conditions of your planned study. You also have the option to "include" or "exclude" particular criteria. 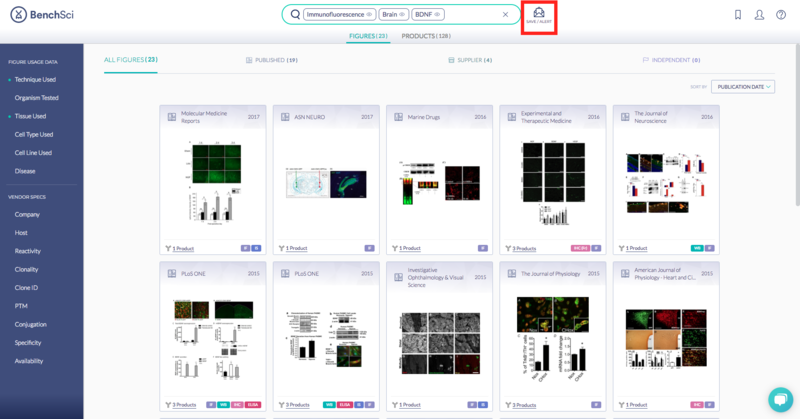 This way you can also choose to only find antibodies from companies that your lab has a deal with, or to exclude companies that you had poor experience with. Finding a suitable antibody from thousands of papers is a laborious task, let alone manually finding multiple data points for multiple antibodies for comparison purposes. 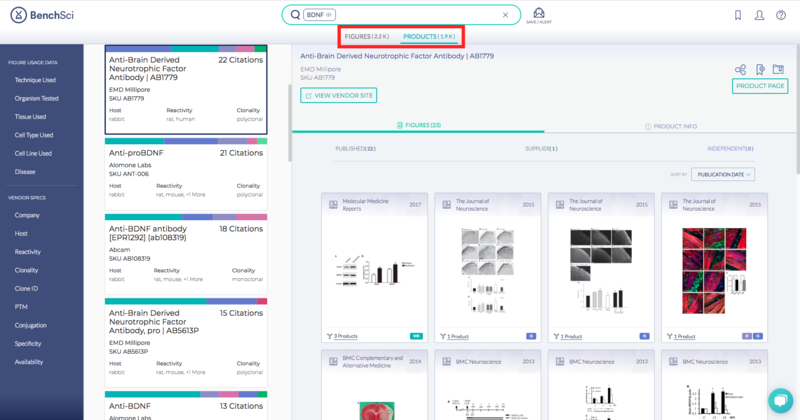 Using the antibody list view, you can easily evaluate and compare the data published by each antibody and quickly narrow down potential antibody candidates that best fit your experimental contexts. 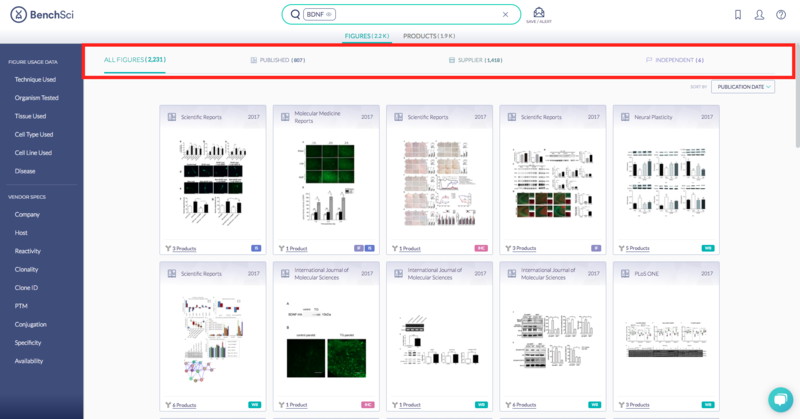 Just above the figures, click on the "Products" tab to switch from viewing figures to a list of antibody products, ranked by the number of citations. 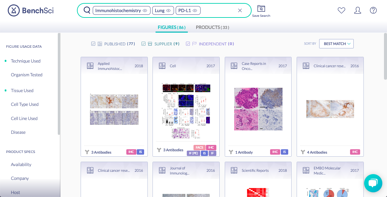 Instead of going back and forth between PubMed, supplier websites and third-party sites, you can easily compare data figures from different sources on BenchSci. 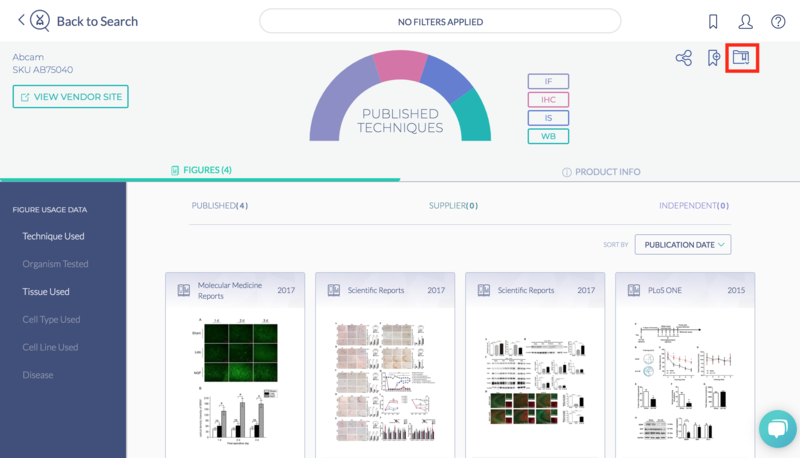 Independent: Validations performed by independent research groups such as Human Protein Atlas, EuroMAbNet and ENCODE. So you identified a nice figure that supports the use of an antibody on BenchSci, but a couple days later you found yourself trying to remember how you found that figure. Enter saved searches. 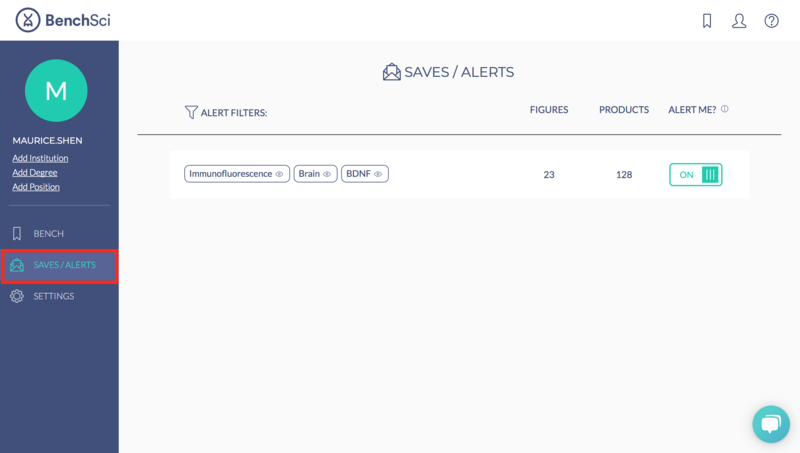 By saving your searches, you can keep track of the filters applied in each search for later reference, or to quickly come back to the last search you performed the next time you log in. You can also choose to be notified for new data matching your search context when they are added on BenchSci. You can then access the saved searches under your profile. 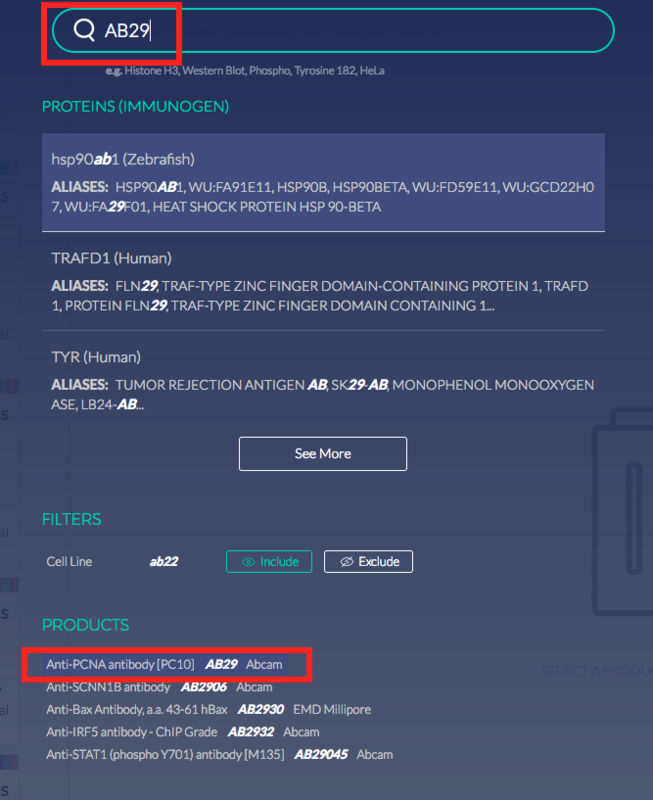 Remember that time the editor asked you to specify the antibody in your manuscript, and you went digging through your lab notebook or purchase history trying to recall what it was? Saving figures and antibodies to your "Bench" on BenchSci is a simple way to keep an electronic record of the antibodies you used and why you purchased them in the first place. 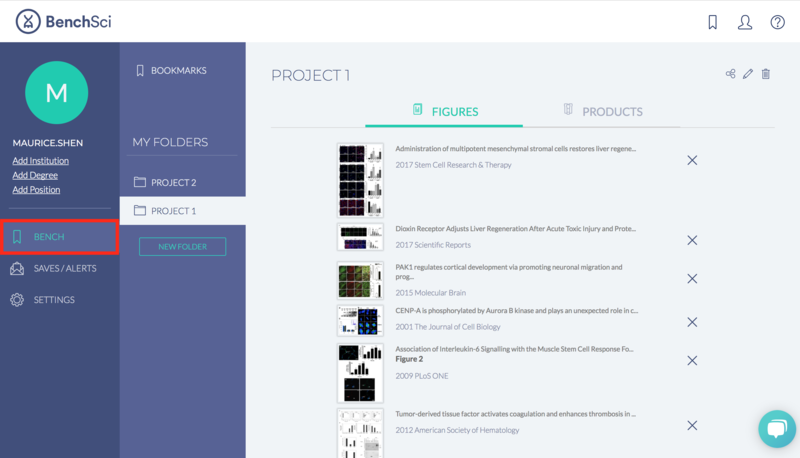 You can create a project folder for each experiment that you plan to perform to keep track of the antibody used and the published data supporting the use of each antibody. Say goodbye to antibody lists on sticky notes stuck on your desk! 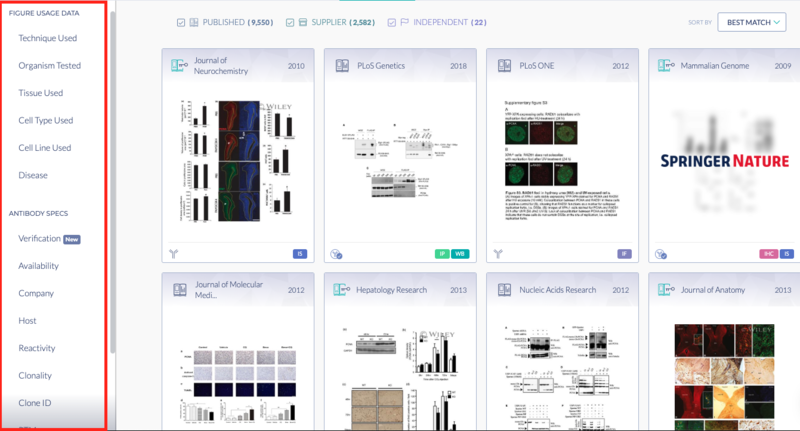 You can then access the saved figures and antibodies within "Bench" under your profile. Once you’ve decided which antibody to use for your experiment, you’ll likely need to inform the PI or the lab manager for approval and purchase. 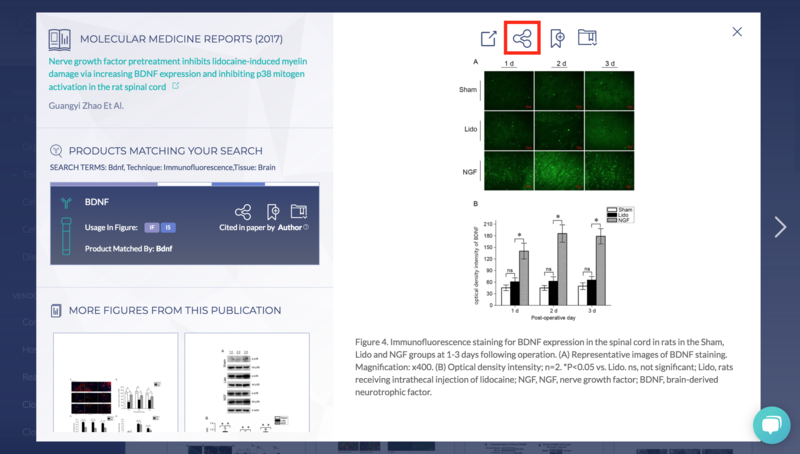 You can easily share the antibody you found and the supporting figures with them by email. So there you have it, 7 features to help you be more effective in your work. We encourage you to compare BenchSci to existing antibody search engines and see the difference for yourself! Which feature did you find most useful? Are there any more you would like to see on BenchSci? Let us know in the comments below. We would love to hear from you!